Is Amanda Gray a singer/song writer, or a songwriter/singer? To hear her tell it, the latter may be more apropos. But this girl can sing. Her passionate, powerful vocals have inspired comparisons to country superstars Wynonna Judd and Miranda Lambert. 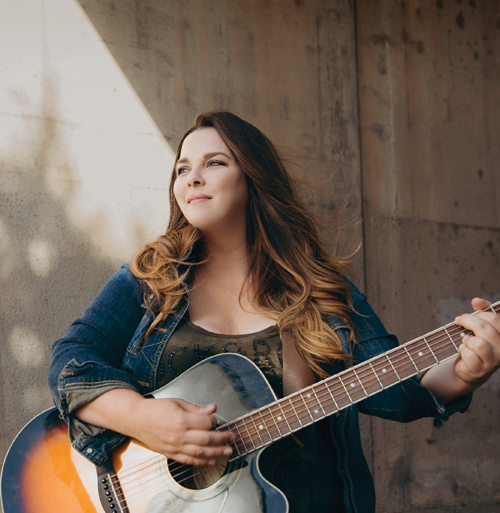 Earlier this year, when Gray took a SAMMIES award in the Country/Americana/Alt-Country category, it was the culmination of a lifetime of performing that started when she was just a young lass, growing up in Yuba City. After spending time in a band (Whiskey Savage) and as part of the duo Gibson & Gray (with fellow songwriter Sara Gibson), Gray is now performing most shows as a solo act—just a girl and her guitar. She’s also working on her first solo EP, with all original material. If her dreams come true, Gray says, she’ll ultimately sign on with a publishing company “and have someone super famous record my songs.” But don’t worry, fans: She says she’ll never stop performing. For more about Amanda Gray, including a list of upcoming shows, visit amandagraymusic.com. Next articleB Street Offers Music, Too?